Upon opening, VCU’s new Institute for Contemporary Art opened gave visitors several inspiring and thought-provoking exhibits such as Betty Tompkins’ paintings “WOMEN Words”, and Paul Rucker’s “Storm in the Time of Shelter”, featuring life-sized figures wearing the regalia of the Ku Klux Klan, but instead of white robes the figures were wearing silk Ghanaian Kente cloth. Along with that, the ICA introduced “Dirtscraper” a virtual reality game created by Brooklyn-based digital media artist Peter Burr and Oakland based video-game designer Porpentine. The game takes the audience through various levels of the world including industry, and commerce, as you are led through a post-apocalyptic style world with protagonist, Aria, a janitor and caretaker working within the labyrinth. Having a love for dystopian-esque virtual reality games I decided to venture in and dive into this strange world. 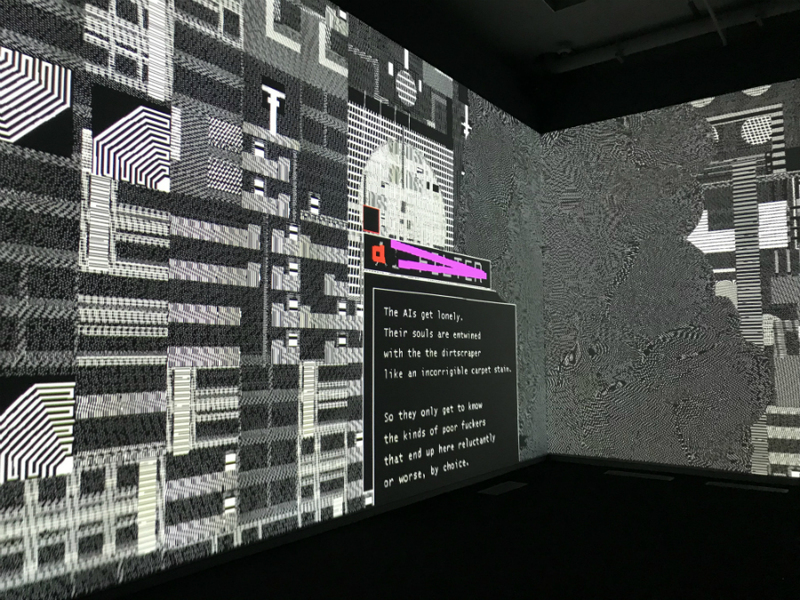 Projected onto the walls of a small, black room, “Dirtscraper” looks to be just a very detailed experimental film in the aesthetic of Commodore 64. However, through the help of a small podium in the back center of the room, it allows the audience to control certain levels and aspects of the game as far as how far up or down, or left or right each level can go. Certain story mode screens add various important points of narration and dialogue to keep the story moving forward. The work simulates an underground structure whose inhabitants move through spaces shaped by economies and class hierarchies — from mining zones to areas blazing with advertisements to luxury terraces adorned with sculpture. Art, even as far back as we can remember, has always had an underlying responsibility to make its audience think and challenge their ideas. Given the current political and social climates, while they did not directly influence, the piece did encourage it. Essevia said these are topics that both Burr and Porpentine were heavily involved and interested in, and given the current climate, the timing just felt right. As it reflects the current dystopic mood of our society, it also invokes representation in its own way. Despite the fact that there is not an overall solid cast of characters or character development, there is building in the way of the one true character of the game; a cyborg named Aria End. While the conversations about this collaboration had begun prior to being contacted by the ICA, Burr and Porpentine did specifically work on this piece for the ICA and the museum’s current show, “Declaration”. Originally shown in Sundance as a film, Burr and Porpentine were looking for an institution to house the installation as they were hoping for it to be properly displayed. “As part of it being born in the world as an installation, that was something specific to the ICA,” Essevia said. 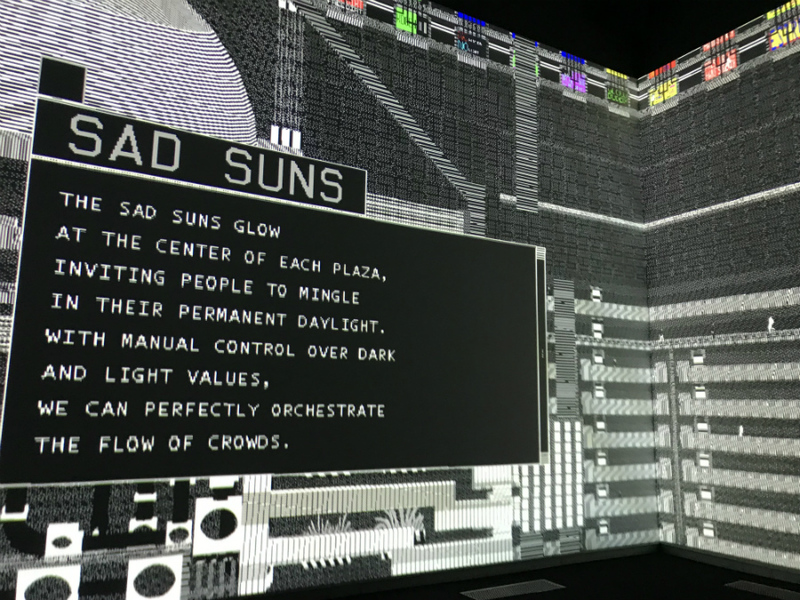 One of the important questions that this installation brings to the table is really how different would the experience be if it were not interactive. 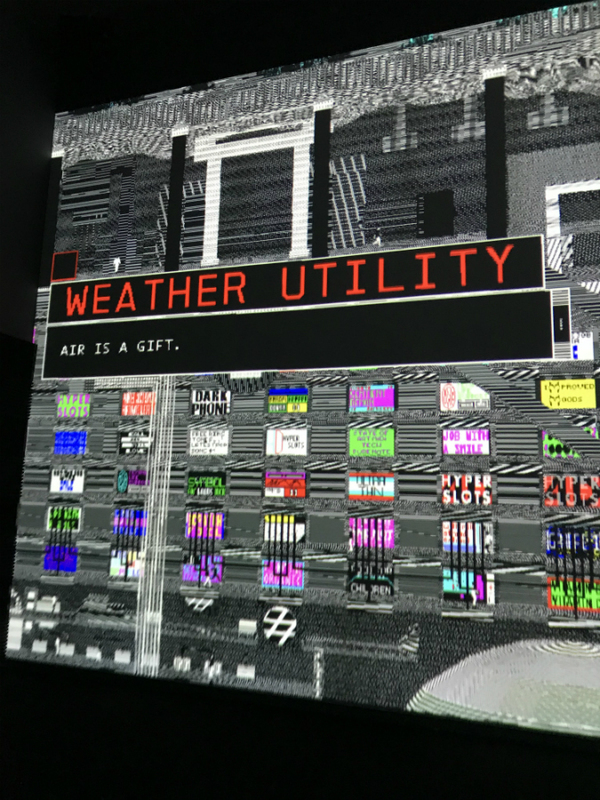 While so many of the exhibits at the ICA at VCU right now are, of course, made to make you think and question things, “Dirtscraper” is the only one that makes you actually feel it. “Dirtscraper” is open now at the ICA at VCU as part of their Declaration show running until Sept. 9.